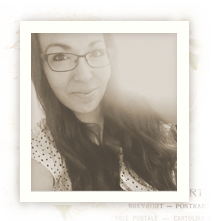 Today we want you to meet talented paper crafter Tiffany who is going to stay with us as a Guest Designer for a couple of months! Hello! My name is Tiffany and I am a mother of two wonderful children. My son is 9 and my daughter is 4. I am married to my soulmate. I started crafting about 7 years ago. I started out making simple cards and I was always curious about new techniques and different ideas. Which lead me to scrapbooking, and altered items and now for the past couple years mixed media style scrapbooking and crafting. I get inspired everyday to create something. I am so honored to have been asked to be a Pion Design Guest Designer! Welcome Tiffany 🙂 I´m looking forward to seeing a lot of your beautiful work here.